Looking for a great way to add color to your eyes? Look no further! 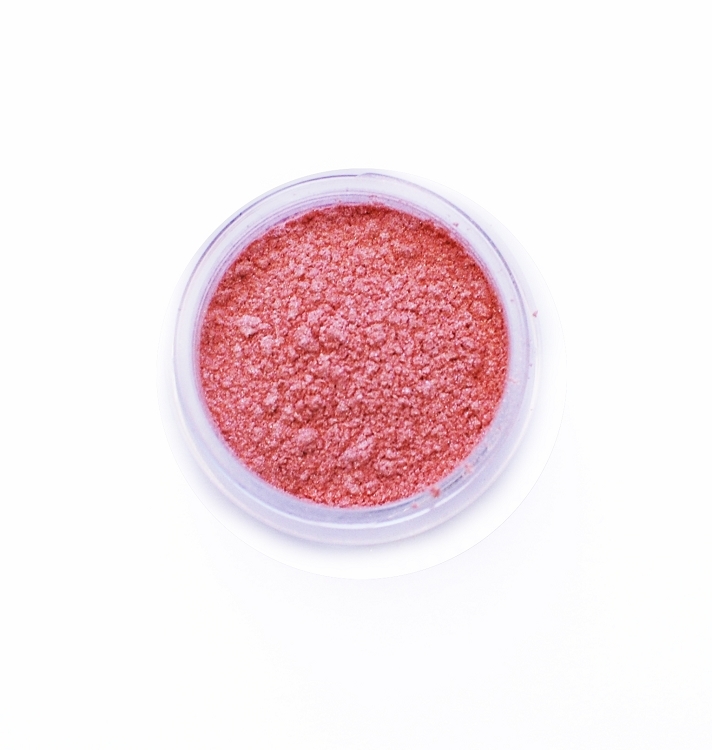 Cowgirl Dirt’s beautifully tinted Matte and Semi-Matte Eye Shadows provide you with a natural, healthy way to add color to your eyes. Use the matte and semi-matte colors for a smooth look with minimal shimmer and sparkle. Whether you are looking for a natural shade to compliment your skin tone or a more bold look to stand out, there is a Cowgirl Dirt Matte or Semi-Matte Eye Shadow for you. Sample Size good for 1-3 uses. I really enjoyed the color choice with Cowgirl Dirt eye shadows. I had a hard time choosing which to try and ultimately order in full size. The eyeshadows aren't as pigmented as I was used to (mostly the Tarte brand), so the colors defiantly go on softer and lighter than they look in the container and on the computer. I was happy with how they looked and the staying powder. Again, it wasn't as good as I was used to, but I wanted to find a more natural brand and this is defiantly it! They were easy to apply. I wish cowgirl dirt would come out with an eyeshadow primer, I will probably continue to use my Tarte one under these eyeshadows until they do. I ended up ordering full size versions of Whoa Nellie, Arena Sand Trio, and Copper. I have fair skin, green eyes, and light brown hair and these all looked very nice. I used "mud" and was very pleased! It stayed all day and is a very nice, neutral color. I like a more natural look and this was perfect. Plus it has no nasty chemicals so that is a huge bonus for me! Will be buying more soon! This is wonderful eye shadow. I tried Saddle Up, and it is my perfect color. I really like how light this eye shadow goes on. It doesn't irritate my sensitive skin. I'll definitely get a full sized version very soon. I love this eyeshadow. I've been looking for a nice matte pale grayish-blue powder eyeshadow that doesn't irritate my eyes for around 20 years. I'm only half joking. Seriously, Rodeo Queen is PERFECT! These shadows were pretty but NOT all Matte. There were only a few that were ACTUALLY Matte but they did blend well and were pigmented. Love this color! 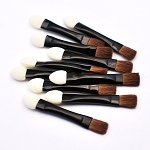 It is a great neutral that can work with cool or warm skin tones. With Cowgirl Dirt’s natural and healthy ingredients, there is no need to worry what you are putting on your eyes! Pure Pearl Powder: Its qualities promote healthy, luxurious skin. 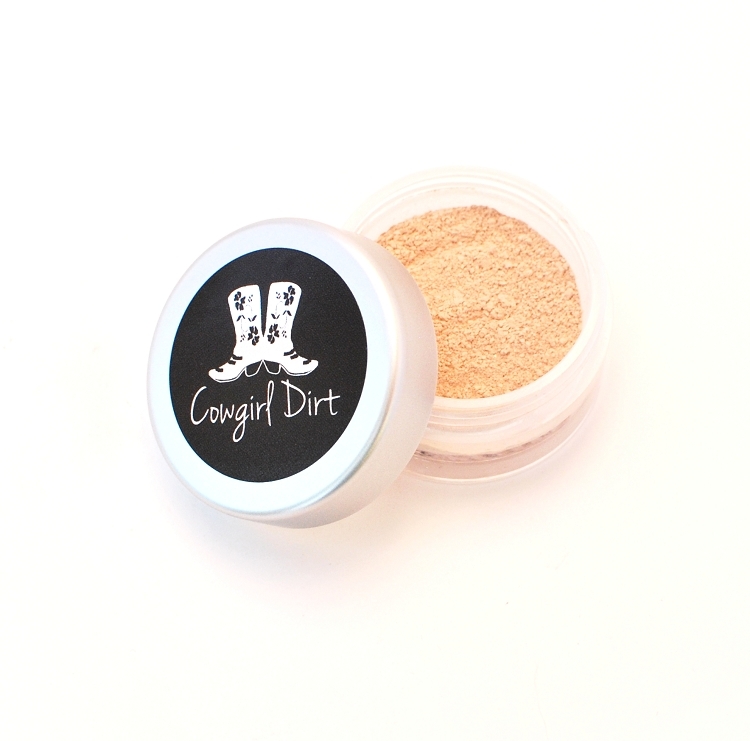 Silk Powder: This moisture balancing powder makes Cowgirl Dirt’s Powders great for every skin type. As an added bonus, it also contains amino acids and protein. Zinc Oxide, Boron Nitride, Mica, Magnesium Stearate, Certified Organic Vegetable Starch, Pure Pearl Powder, Silk Powder, Certified Organic Melia Azadirachta (Neem), Certified Organic Olea Europaea (Olive) Extract, Certified Organic Rubus Idaeus(Raspberry) Extract, Comfrey derived Allantoin (May contain: Ultramarines, Mica, Iron Oxides). It isn’t hard to achieve a perfectly contoured look for your eyes. Just follow these easy guidelines. Start by choosing three matte shades and one neutral shade. Apply the lightest shade to the inner lid. Start from the inner corner of your eye and move out toward the middle. Apply the medium color shade from the outside of your lid to the middle and blend in with the lighter color. Finally, blend the darkest shade into the crease of your eyelid. For even more definition, choose one or two Highlight Eye Shadow shades to work into your look. 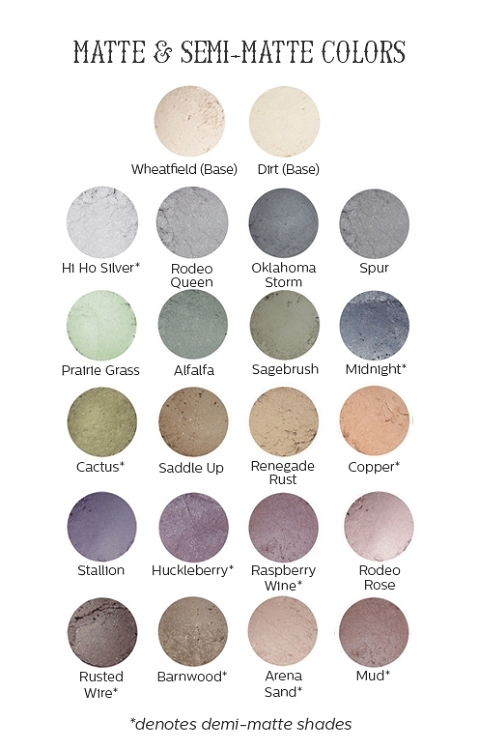 For pre-selected palettes, try Cowgirl Dirt’s Eye Shadow Trios. Some matte colors are available in pressed singles and duos.